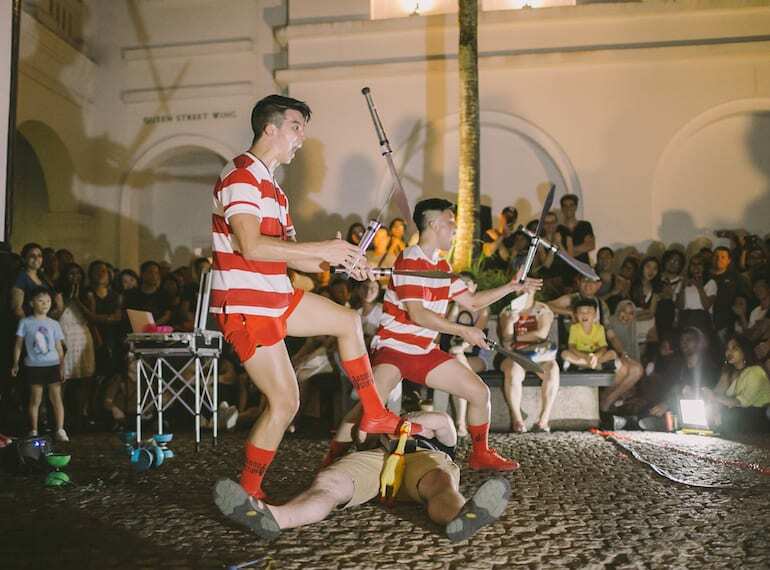 Expect a thrilling lineup of performances at Clarke Quay Street Fest! The lineup will include The Sergeant Majors (UK), the tallest 10ft tall walkabout act, Otto – The Master of Balloons with his classic clown act, Felicity Footloose with daredevil upside down juggling, nouveau high-energy performance duo, Street Circus Canada, and Ernest Magnifico who will be hopping in all the way from Australia to perform pogo stunts. Last but not least, Singapore’s very own The Annoying Brothers will also take the stage with their cheeky Big Top acts.